Who are Jews? Who are the Jewish people? Who is the Jews ancestors? Tay-Sachs disease affects Ashkenazi Jews, but not semitic Jews. Tay-Sachs disease is a genetic disorder caused by a missing enzyme that results in the accumulation of a fatty substance in the nervous system; which affects chiefly Ashkenazic Jews. What does this prove? Semitic people never suffer from Tay-Sachs disease! Only Ashkenazi Jews do, proving that they are not semites. Ashkenaz descend from Japheth and Gomer, not from Shem; so that are not semites. Abram (Abraham) descended from Shem, the Ashekenaz did not. Genesis 10:3 The sons of Gomer were Ashkenaz, Riphath, and Togarmah. Or will you return to the programming of the Jesuits? I’m not saying that all Christian Pastors have intentionally done this, but there are many pro-Israel pastors who aren’t teaching you the truth. 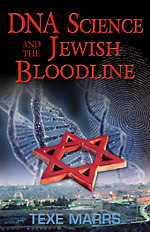 Order the new book, DNA Science and the Jewish Bloodline. 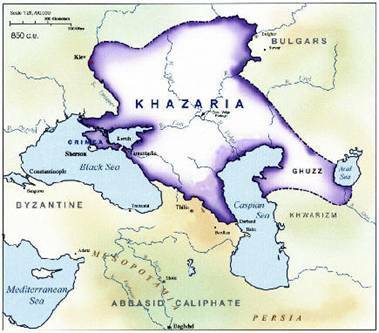 Review Ashkenazis are not the descendants of the Ancient Israelites.